. استمتع بالخدمات الراقية والضيافة التي لا مثيل لها بهذا الفندق في بورت فيلا. إن واي فاي في المناطق العامة, صف السيارات, خدمة الغرف, التوصيل من وإلى المطار, رعاية أطفال هي جزء فقط من الخدمات التي تميز Kaiviti Motel عن باقي الفنادق في المدينة. في الفندق غرف نوم يتجاوز عددها 36، كلها مجهزة بعناية وجمال وبعضها مزود بـ تلفزيون بشاشة مسطحة, غرف لغير المدخنين, مكيف هواء, خدمة الإيقاظ, مكتب. سواء كنت من محبي الرياضة أو كنت تتطلع لتفريغ عناء نهار صعب، ستجد خدمات ذات مستوى عالي بانتظارك كمثل حمام سباحة خارجي, تدليك, حديقة. يشكل Kaiviti Motel بخدماته الراقية وموقعه الممتاز، قاعدة مثالية للاستمتاع بإقامتك في بورت فيلا. Room was large and clean. Staff were helpful. Bed was low and very firm. Some upper floor rooms have views of the harbour. Appreciated the nice pool area. As for all of Vanuatu food and drinks are quite limited and expensive. The self catering option was appreciated. The Kaiviti is in a pretty good location to access parts of Port Vila. 10 minute walk to shopping, dining and bars one way, and a 5 minute walk the other way to a large supermarket which has everything. It was a fairly quiet area, although there were renovation works going on when I stayed which was a bit noisy in the morning. Nice Pool and bar on the ground level and the rooms are nice and big with their own kitchenettes. I would stay again if I returned to Port Vila..
We wanted a traditional motel stay while in Vila and Kaiviti offered all that - basic but sufficient self catering. Rooms were clean and serviced daily. Motel is a short walk to restaurants in town. Will definitely stay again when next in port Vila. 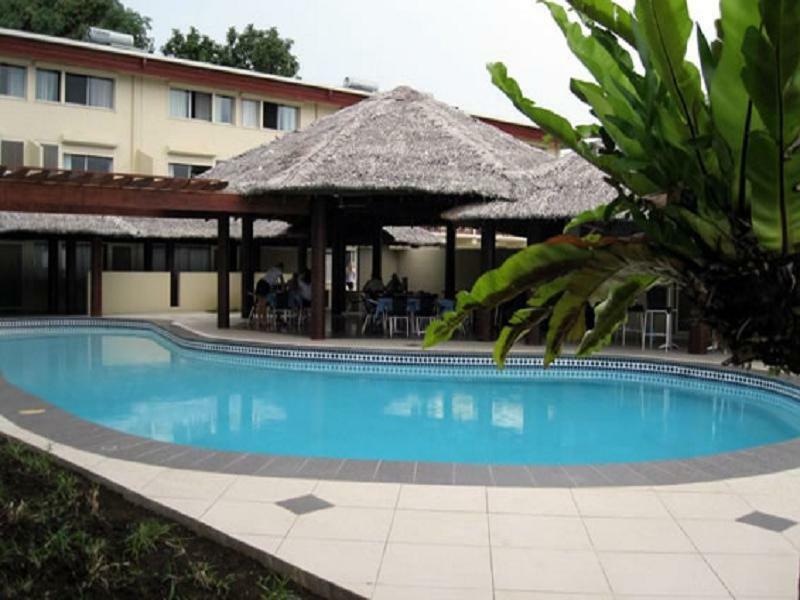 Spacious airy rooms, friendly service, central location and basic cooking facilities. I liked being able to cook my own meals so that I could eat whatever I liked whenever it suited my programme. An excellent supermarket is about 3 minutes walk away. Another 5 or so minutes walk down town is the Villa market with interesting range of local vegetables,fruit, and cooked dishes.A bar restaurant at the motel offers a restricted menu. 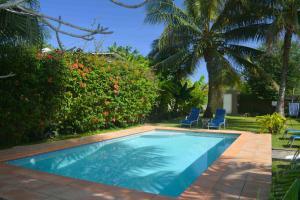 Kaiviti Motel is reasonable budget accomodation. I booked one of the renovated Executive studio rooms on the basis it had internet access. As it happened it wasn't possible to connect to the internet due to their server problems. Situated across from the pool isn't ideal as their was a lot of activity in the area and in order to get privacy you had to keep curtains drawn. Pity there are no higher level renovated rooms. Rate should've included breakfast. Bien pour un nuit de passage. On recommande pour la propreté mais pas pour y rester 15 jours. Das Kaiviti Motel liegt am Rande der Hauptstadt Port Vila, aber man kann die Innenstadt in einem Spaziergang von ca. 8 - 10 Minuten gut erreichen.Das Hotel selbst ist äusserst sauber, fast steril angelegt. Ein wichtiger Hinweis: Zumindest in der heissen Jahreszeit würde ich davon abraten, ein Zimmer nur mit "ceiling fan" zu mieten. Besonders geräumig sind die oberen Eckzimmer mit einer schönen Sicht auf die Bucht. Das Personal ist ausnehmend nett und hilfsbereit. Restaurants gibt es in der Nähe.